← Episode 002 Rich Wilens: Head Of JVZoo’s Webinar Division With 400+ Delivered Speaks On What Is Working NOW. Good points Ana. You only need to price it at what you feel comfortable with and in accordance with what the marketplace is willing to pay. If you get those two sorted you are onto a winner! Good luck for sure – keep us updated on your progress too, I’d love to hear about how you take action! Great information, thanks for putting this together! I plan on doing webinars in future. People like Jonathan Budd and Matt Lloyd are using automatic webinars (replays of past webinars) to make sales every day. Does you have experience with that? Evergreen webinars can be done well from what I’ve seen, automating LOTS is great, but… nothing beats that live interaction. I was chatting with Susan Bratton, whose interview I’ll be releasing soon, who shares a few strategies about engaging with your people while still using evergreen, things like – having a staff member actually just be around to check if people are leaving comments and reply, or pre-recording parts of it but holding a chunk of it live. from someone who’s seen it in action it is AMAZING to watch 1000 people jump on a training webinar and ALL beg for more at the end! Awesome information for sure – easy to follow, and easy to execute if you ‘JUST DO IT’, i mean the strategy is right there! Great advice on making money with a webinar. I can see how you became the #1 affiliate. Hearing a dialogue is way more effective than writing a post in my opinion for converting leads into sales. Great advice on making money with a webinars. Thanks for sharing the inspiration today! Great idea, this can help you build credibility without having to invest in a product or service of your own. 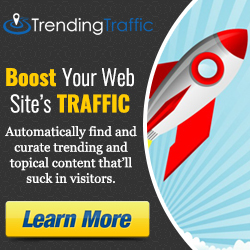 Webinars are great for attracting traffic as well. Good to see you here Hildy 🙂 And yeah, I find pricing fascinating – anything to do with psychology interesting – why people will choose to buy something that’s priced higher due to ‘perceived value’. In regards to getting people into your webinar, we cover that a little in the next two podcasts releasing on the 22nd of March (with Mark Thompson) and 27th of March (with Mark Anastasi). The one with Mark Anastasi would be extremely beneficial to listen in on. Hope to catch you there!